Wanda Butler Obituary - Newport, Arkansas | Jackson's Funeral Homes Inc.
Mrs. Wanda (George) Butler of Swifton, departed this life on Thursday, September 7, 2017 at the age of 72. 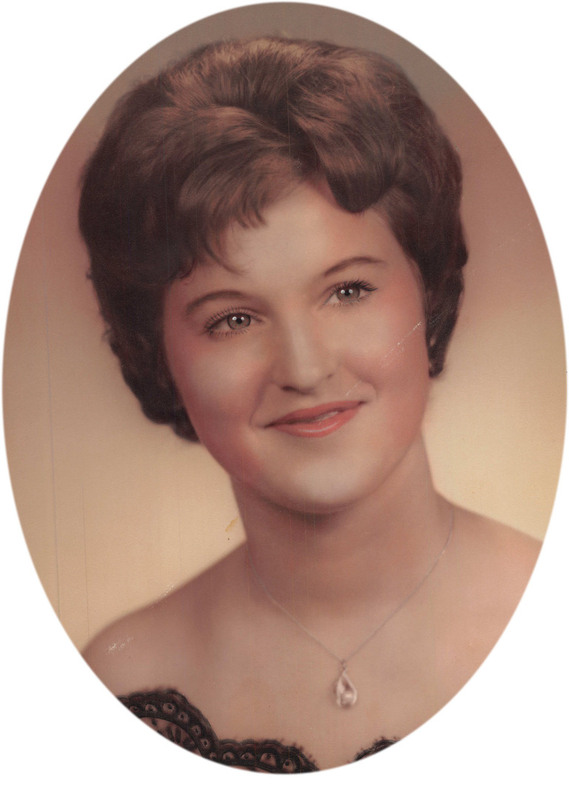 She was born August 22, 1945 in Jackson County, the daughter of Kenneth Aubry and Rose Pearline (Wheeler) George, and married Mr. Douglas Dwight Butler on July 3, 1963. Mrs. Butler was a 1964 graduate of Swifton High School, where she later worked many years as a teacher's aid, retiring in 1994. She enjoyed playing bingo, flea marketing, and spending time with her dog, Jackie. Her greatest joy was spending time with her grandchildren. Mrs. Butler was preceded in death by her husband of 50 years, Douglas "Bushy" Butler; one brother, Larry George; and one great-grandson, Kalleb Colt Newberry. She is survived by two sons, Dr. Mark Butler and wife, Dr. Judy Butler, of Newark, and Stephen Butler of Swifton; one daughter, Michelle Simmons of Swifton; two brothers, Kenneth Ray George of Swifton, and Michael Lynn George of Wynne; two sisters, Vickie Thompson of Swifton and Shelia Mross of Weiner; thirteen grandchildren, Tyler Simmons, Kyle Simmons, Clayton Butler, Andy Crawford and wife, Lacey, Tommy Butler, Austin Butler, Jake Butler, Spencer Butler, Beau Butler, Haley Simmons Newberry and husband, Jeremy, Shannon Butler Burrow and husband, Philip, Shelby Butler, and Hyelim Cho Butler and husband, Tae Woo Kim; and one great-grandson, Levy Crawford. Friends may visit at Jackson's Funeral Home, Saturday, 12:30-1:30. Graveside services will follow at 2:00 p.m. at Arnold Cemetery in Swifton. Those honored to serve as pallbearers are Tyler Simmons, Kyle Simmons, Clayton Butler, Andy Crawford, Austin Butler, and Jake Butler. Honorary pallbearers are Tommy Butler, Spencer Butler, Beau Butler, Haley Simmons, Shannon Butler, Shelby Butler, Hye-lim Cho Butler, and Jordan Steele.